Suffolk County Crime Stoppers and Suffolk County Police Second Squad detectives are seeking the public’s assistance in identifying and locating the man who broke into a residence in Dix Hills last week. 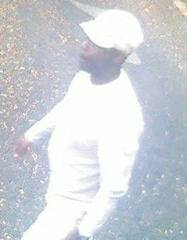 Dix Hills, NY - October 9th, 2014 - Suffolk County Crime Stoppers and Suffolk County Police Second Squad detectives are seeking the public’s assistance in identifying and locating the man who broke into a residence in Dix Hills last week. A man broke into an unoccupied residence on Gray Avenue and stole jewelry and money on October 1, 2014. The man was described as black and had a goatee. Subject: LongIsland.com - Your Name sent you Article details of "Man Wanted for Burglarizing Dix Hills Home"